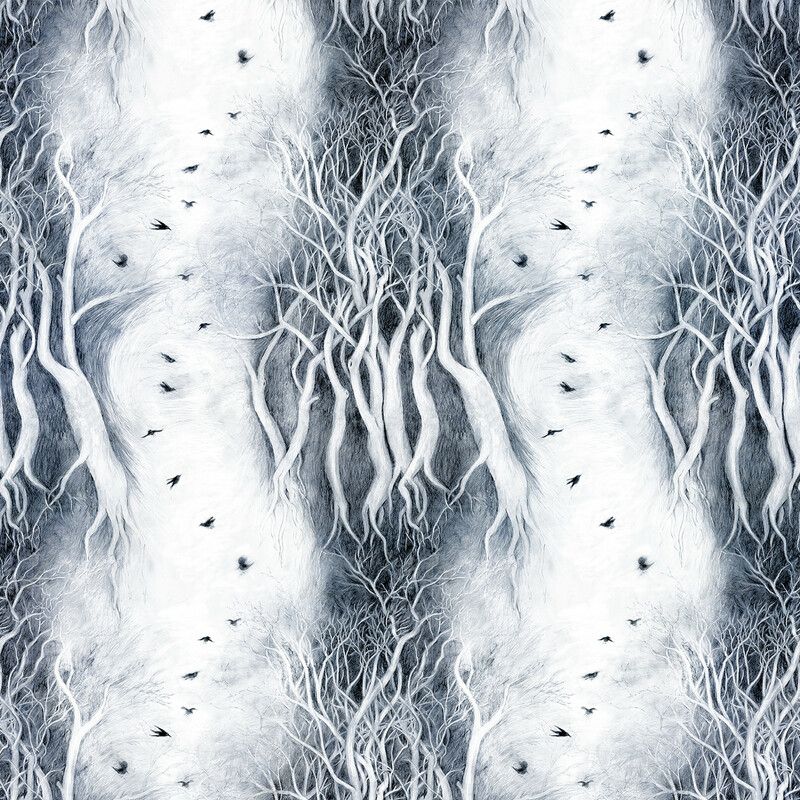 Forever Forest 2 is a seamless print design in a series originating from a pencil drawing of a cluster of trees in the Wissahickon. With each print, the idea was to regenerate and reinvent the drawing much in the way that forests will regenerate and reinvent themselves. Forever Forest 2 explores movement and the interaction between birds and trees in the forest.